Built at Eltinore,launched as PACIFIC REEFER but delivered as YRSA. Fruitcarrier 127,000 cu.ft. refrigerated space. In 1936 renamed AFRICAN REEFER. 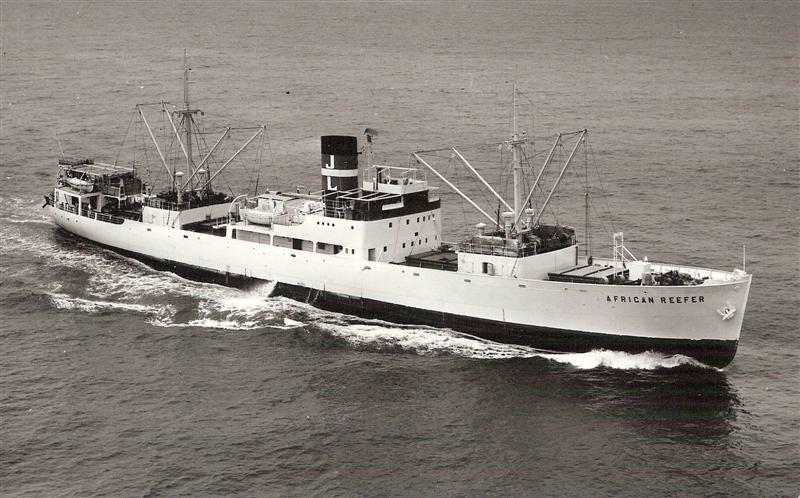 One of new series of refrigerated ships, she was the first Lauritzen vessel to have "REEFER"[refrigerated ship] as part of her name. She and her sisters sailed world-wide, carrying apples,pears and oranges from South America to Northern Europe,bananas from West Africa, apples and pears from the West Coast of North America. In 1941 became ROAMER[U.S.MARITIME COMMISSION] as military supply ship.